I got in contact with Ilaria of Time of doll, to see if I could get more wigs for my ED and was told they dont make that size. So if Marina is outsourcing- it isnt with them. I have gotten Wendy Feidt to make wigs for me for an ED. She does make very lovely wigs, the first I got were a bit puffy and they are on a leather base. I'd be very surprised if Ilaria is making wigs for the Popovy Sisters. Every time I have email exchanges with Igor(who takes care of orders), he does write that the Sisters make the wigs. He has, on the other hand, distinctly said that the furniture is outsourced, to the Sisters' specifications. I am doubtful that Ilaria is working for the Popovy Sisters to make their wigs. I have commissioned Ilaria directly for a wig for my Popovy doll and she said she had a PD to fit a wig on, but if she was actually working for the Popovys, she definitely kept that part a secret. Perhaps the impression that Ilaria makes wigs for Popovy is because they have been seen wearing her wigs on Flickr & the various forums. 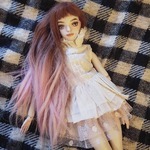 I have good contact with Ilaria (time of dolls). She don't work for Popovy sisters. 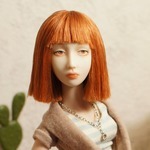 Time of Doll is Illaria. I mentioned on another forum that she made some of the dolls for Popovy and was told that was not true, but I recognize some of her styles and workmanship and it was confirmed. I like her wigs very much. I've got wigs for my REDs from Sion Darkness and I love them. The artist has created them without RED and only on the base of measurements sent by mail. That is so sad caracal! Maybe the time will come for you later and you can get one secondhand. Did you just get the email then? That happened to me, I got an email, thought I couldn't afford one, so I ignored it. Chad emailed me later and asked if I had received the email and if I still wanted one- and I happened to have the money at that point for an unpainted resin. 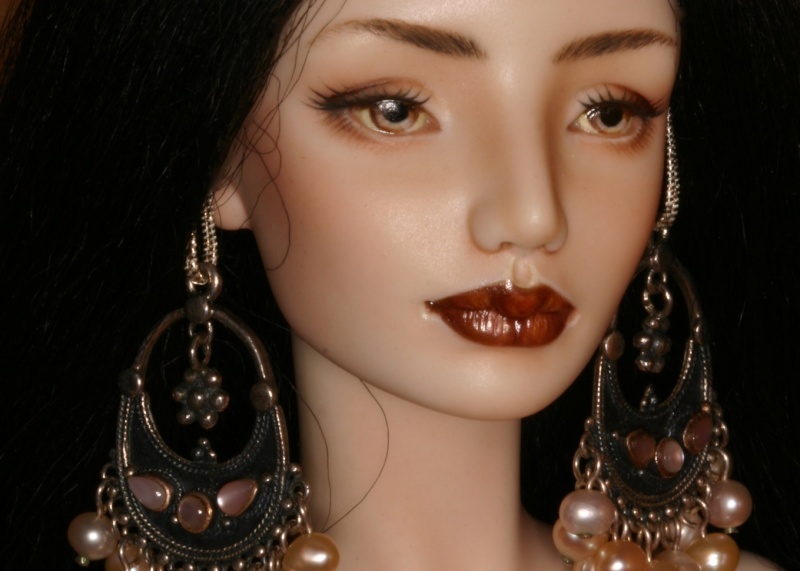 I still regret not being able to have Marina paint her, as I havent been satisfied with my own faceup. That's awful the custom fees are so high!